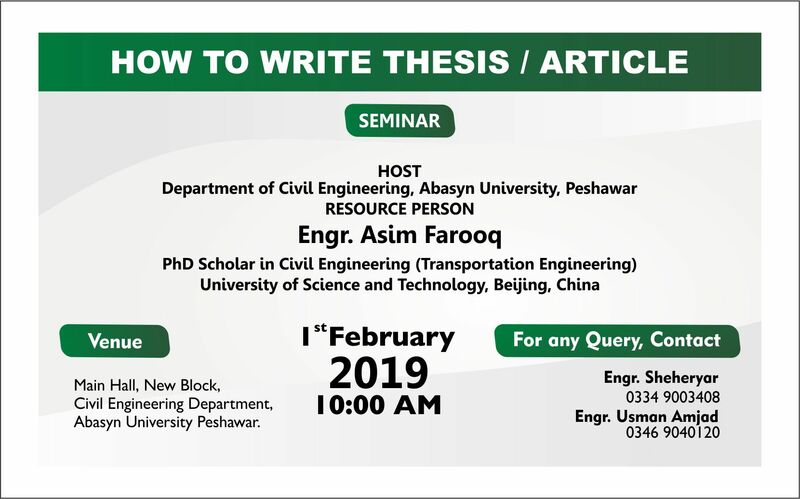 Department of Civil Engineering, Abasyn university arrange seminar on How to Write Thesis / Article . The resource person of the seminar is Engr. Asim Farooq (PhD scholar in civil engineering university of science and technology, Beijing, China).